Virginia Tech rolled to a 20-0 halftime lead and didn’t look back in posting a comfortable 26-10 win at Boston College on Saturday. The Hokies (4-5, 2-3 ACC) took advantage of four Boston College (3-6, 0-6 ACC) turnovers. Andrew Motuapuaka returned one of the turnovers, a second quarter fumble, 34 yards for a touchdown that made it 17-0 Tech with 11:01 to go in the second quarter. Michael Brewer had gotten the Hokies on the board with 6:44 to go in the first quarter with a 27-yard TD pass to Cam Phillips. 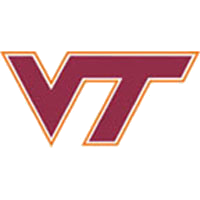 Joey Slye had four field goals for Virginia Tech, which outgained Boston College 275-218.